Are you tired of having to copy text, flip to the Translate app, paste the text, copy the translated text, then paste it back into whatever you’re working on? It appears Google has you covered, as long as you’re running Android 6.0. 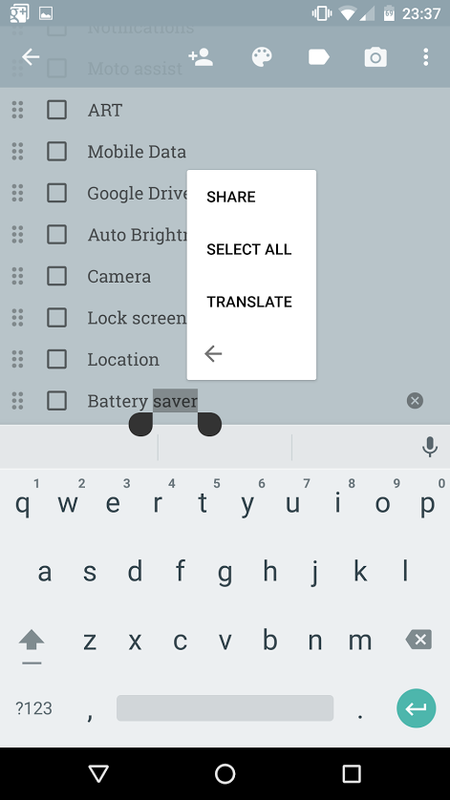 Taking advantage of Marshmallow’s new contextual selection functionality, it appears that the latest version of the Google Translate app has added the ability to translate words on the fly from editable fields. It goes without saying that this is incredibly useful. Besides translate, the mind wanders at the possibility of what else could be done with the contextual selection features in Marshmallow. While most users won’t be able to take advantage of this just yet, it’s a very good omen of things to come.